MSES window is an outward opening, side hinged window, and is available as an option at no extra cost, and have a U-value 1.5. These windows are suited to eco-building and high performance developments. A double glazed reversible window that opens horizontally outward is convenient and safe. U-value 1.7. The window can be locked in several ventilation positions. Easy to wash from inside the house. These windows are available at extra cost, approx £50 per window. 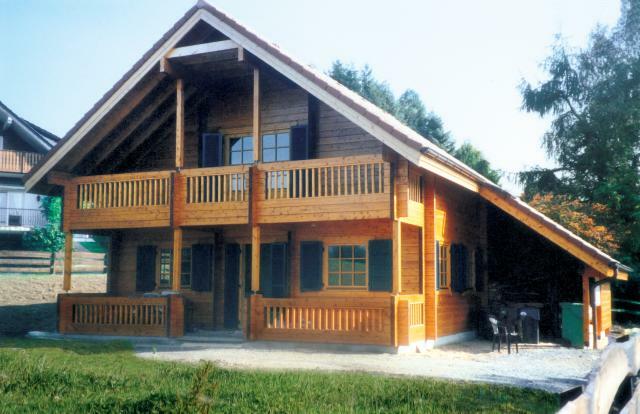 Mountain Lodge log house kits come with high quality Finnish DK tilt and turn double glazed windows as standard. U–value 1.7. DK (Tilt & Turn) double glazed window is most common window type in the world. Popularity of this window model is based on convenience and safety of it. A single handle operates 3 functions; the multiple locking points for safety, the tilt function for gentle air movement and the turn option for maximum ventilation. Optional equipment at extra cost: triple glazing, factory installed air vents, detachable decoration grid, mosquito frame, horizontal blind shutters, lockablecontrols, U-values as low as 1.0.